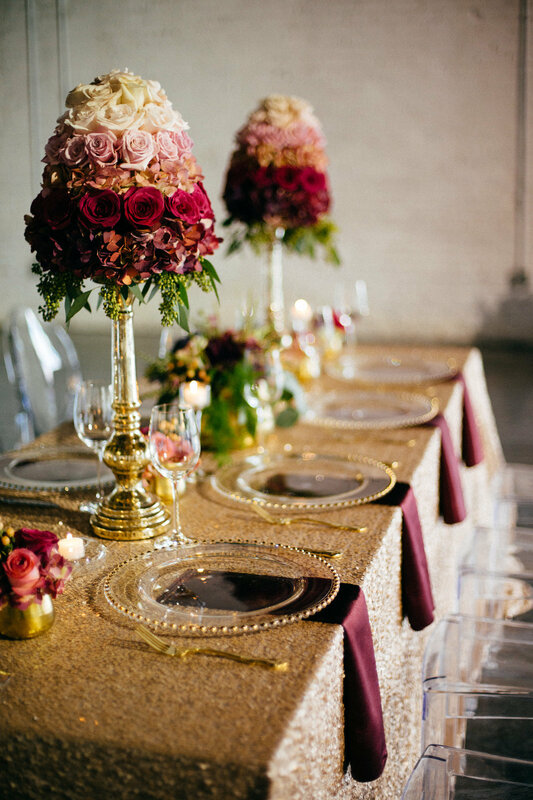 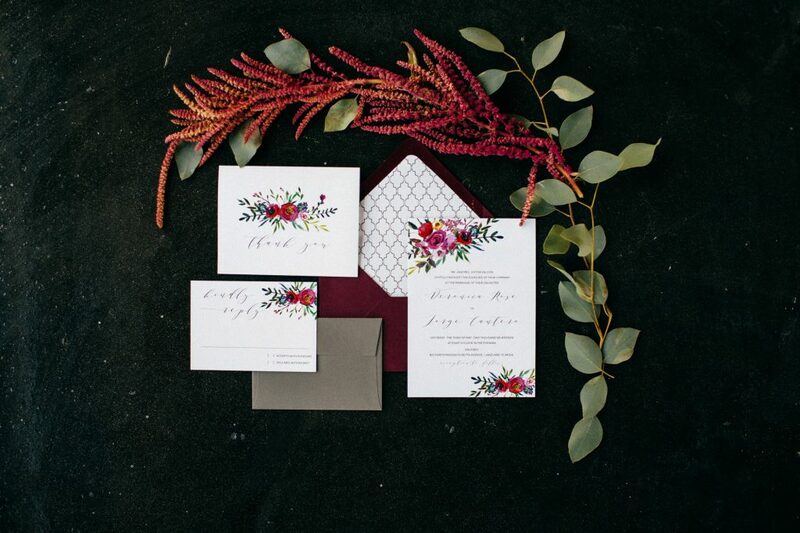 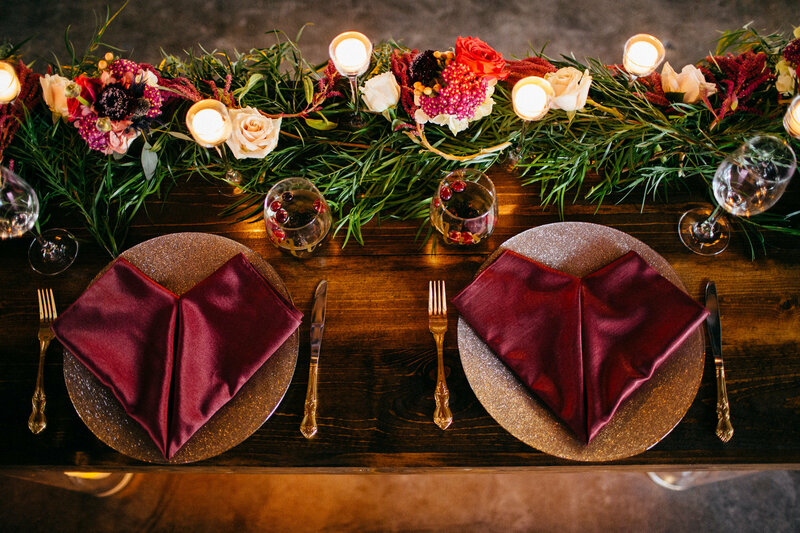 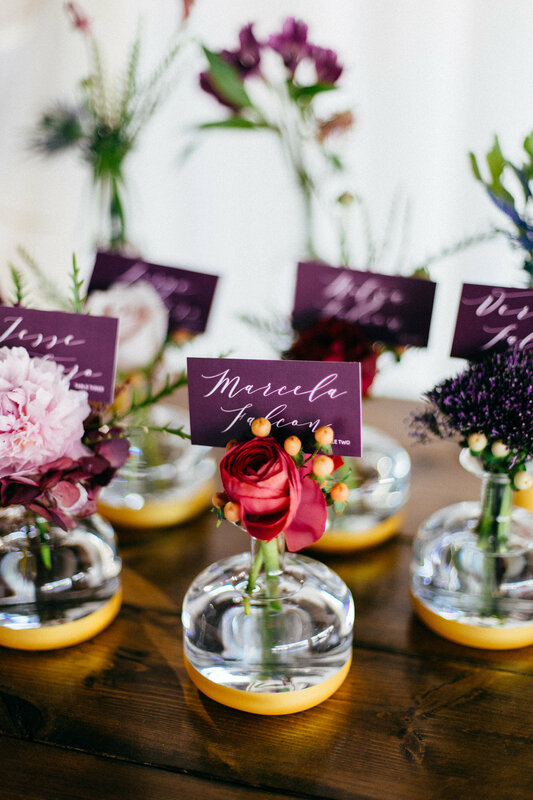 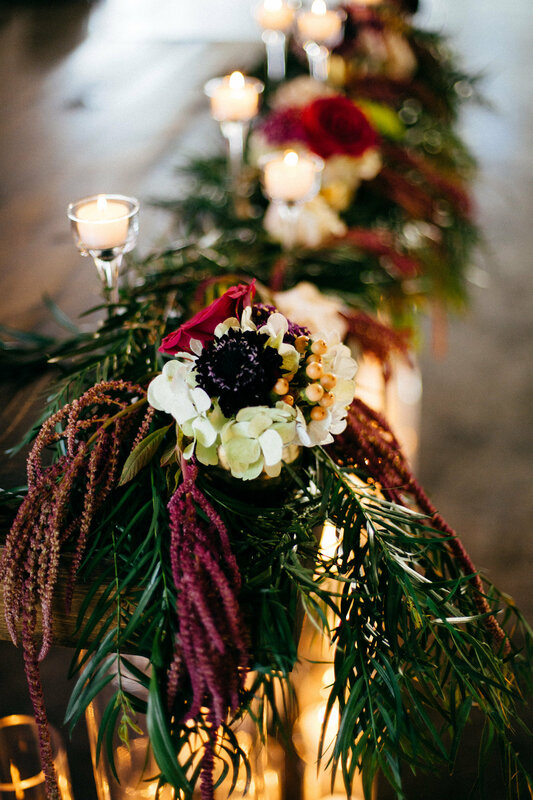 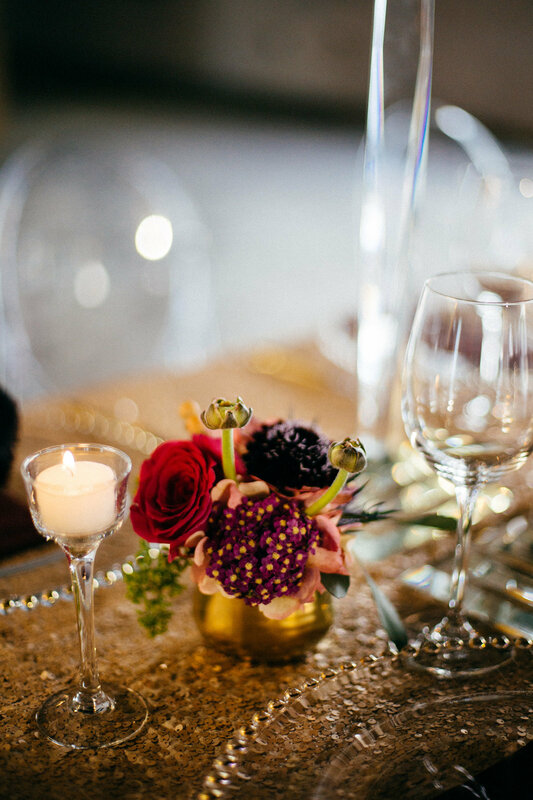 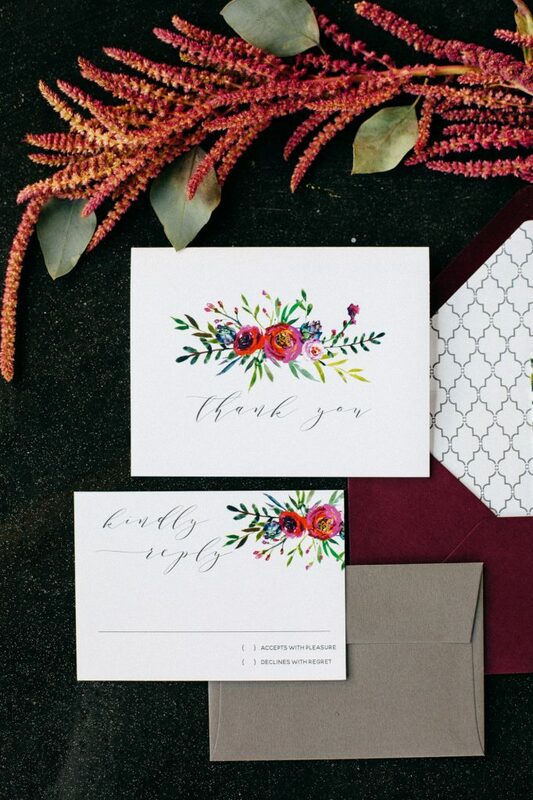 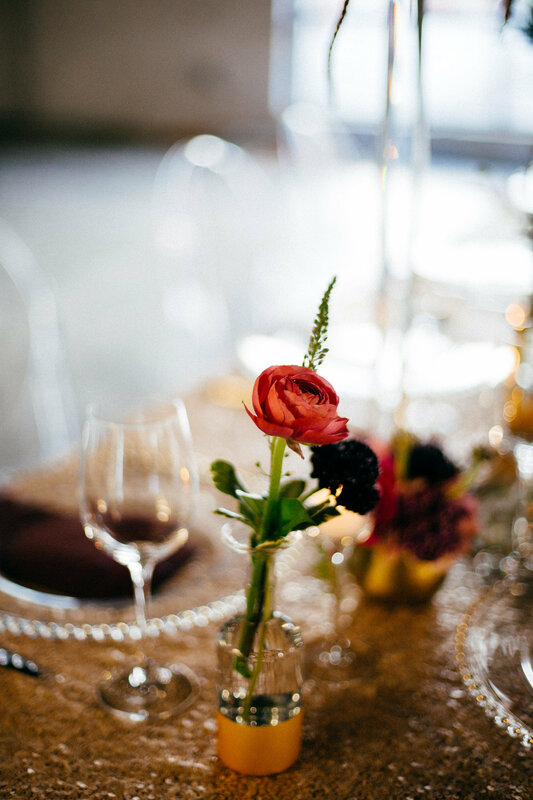 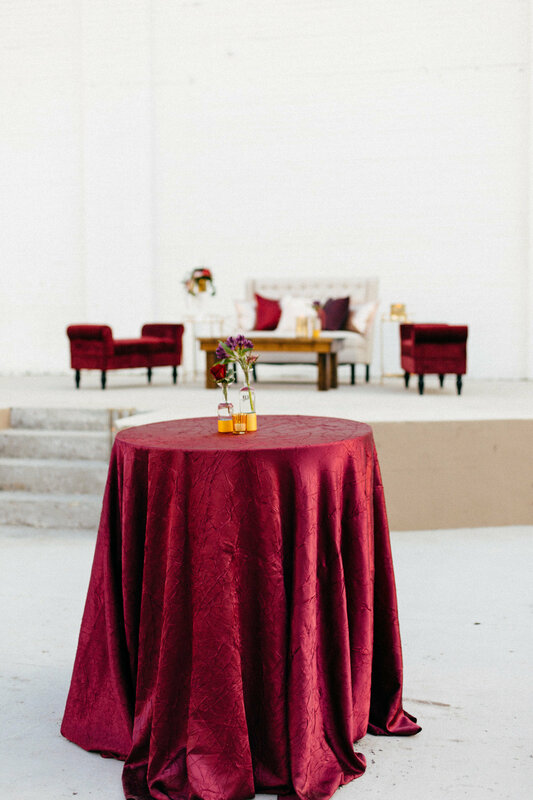 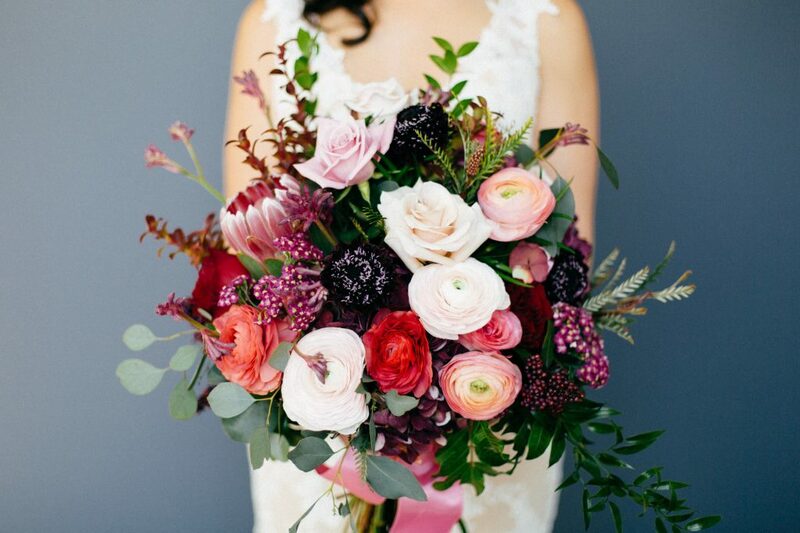 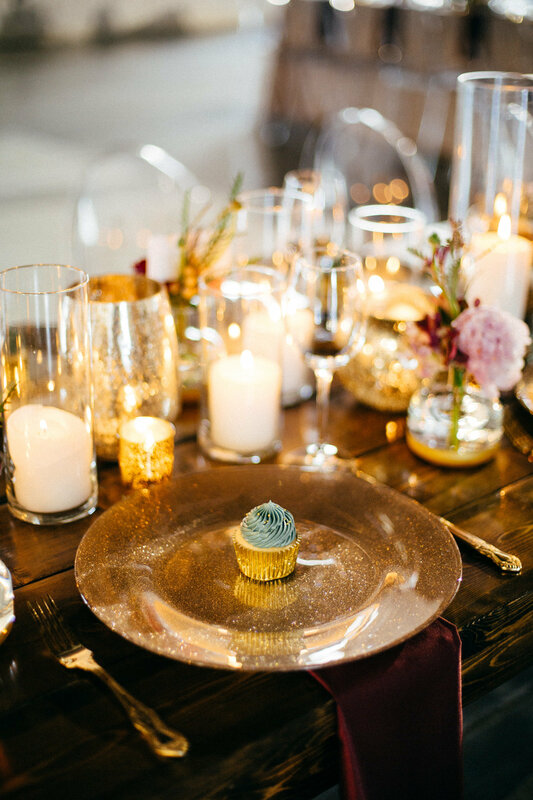 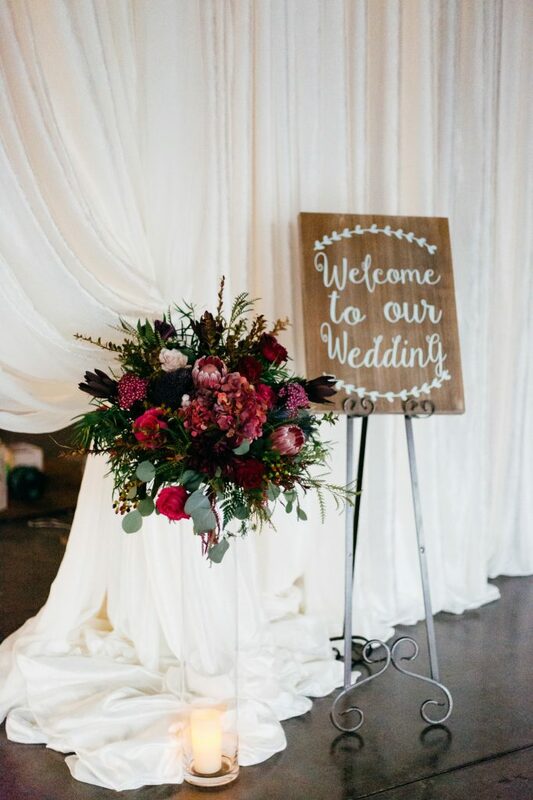 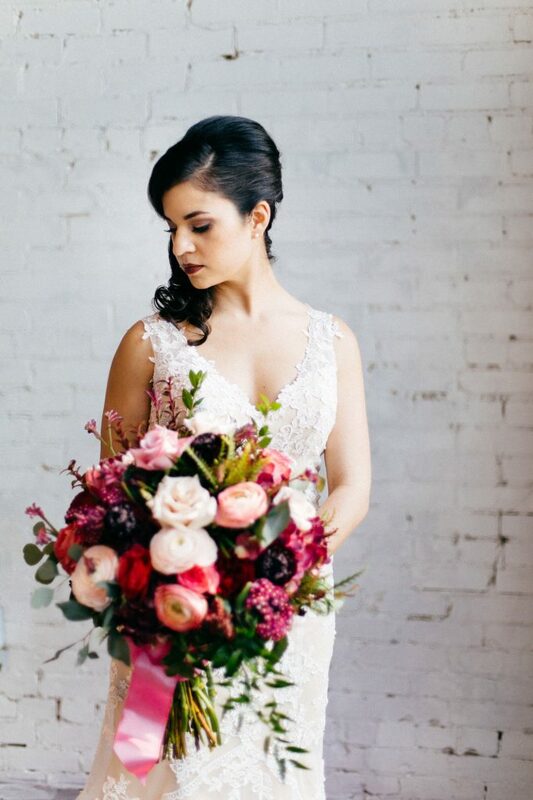 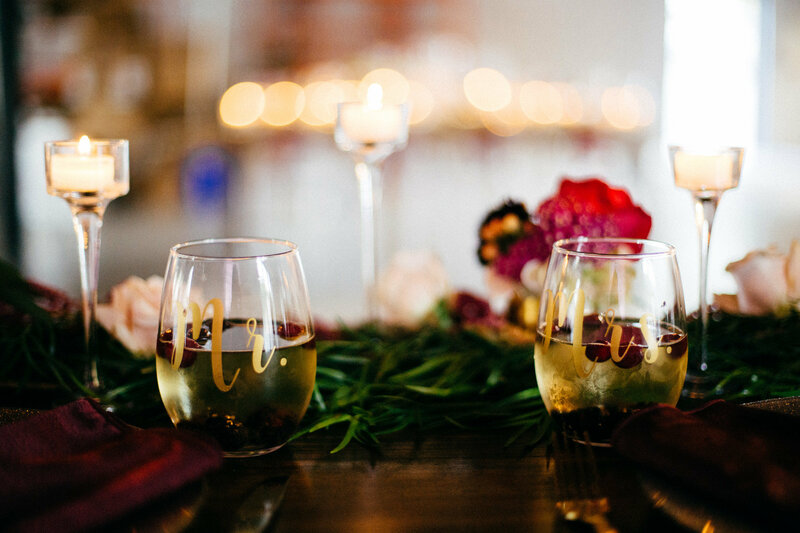 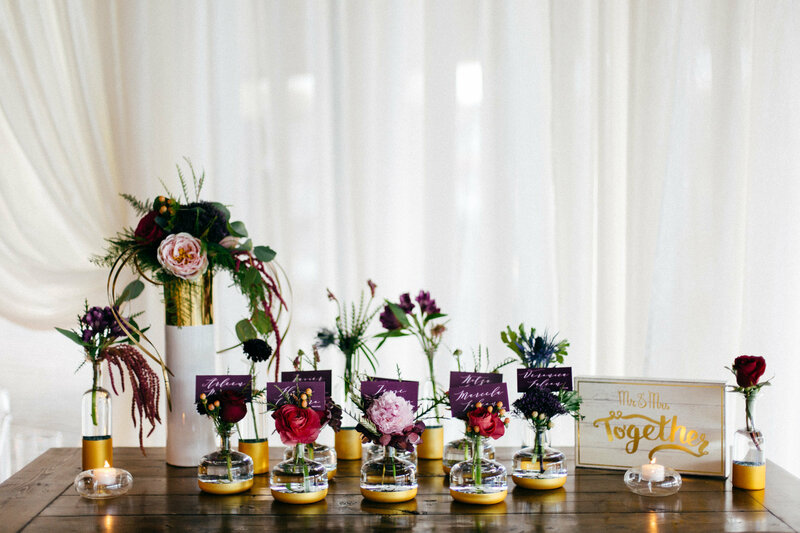 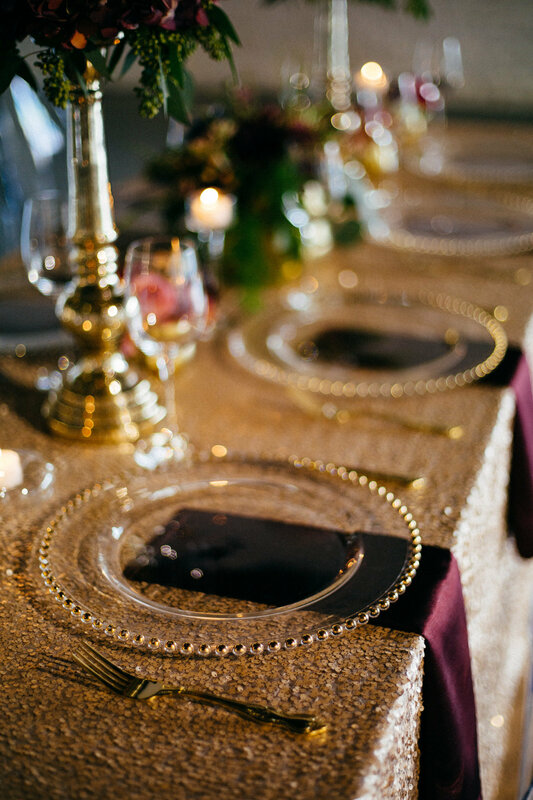 Soft, romantic details with a palette of gold, deep burgundy, and shades of pink. 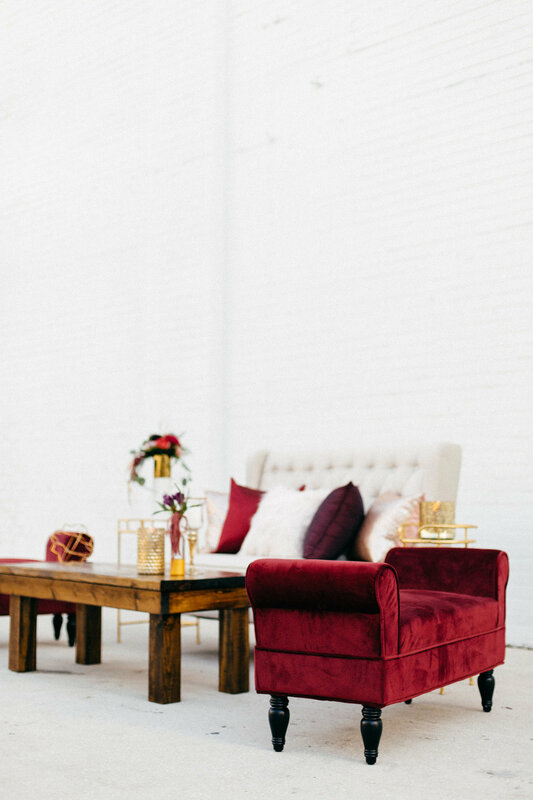 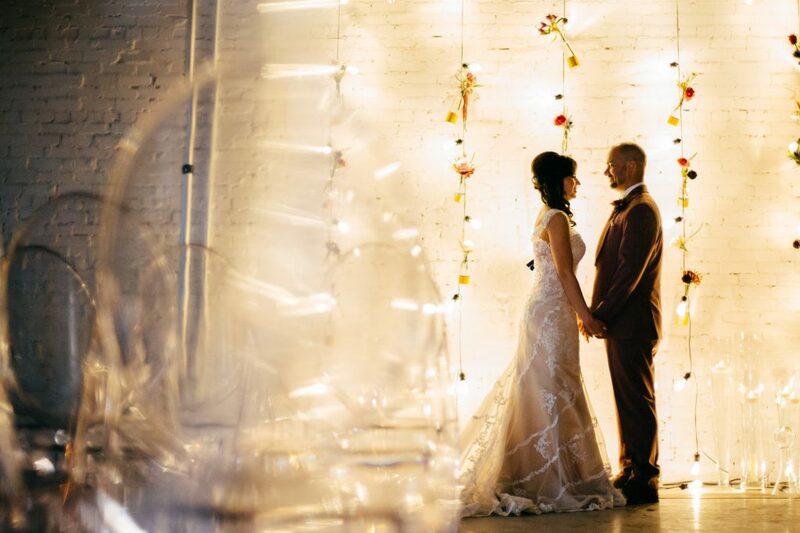 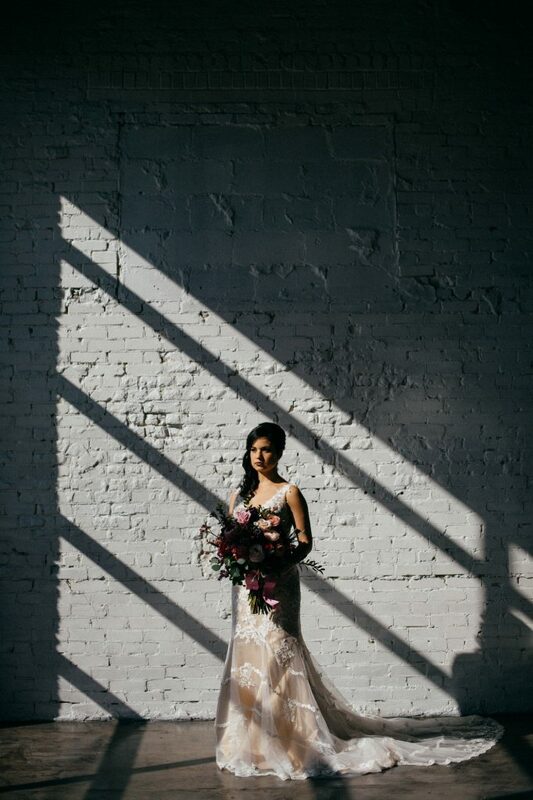 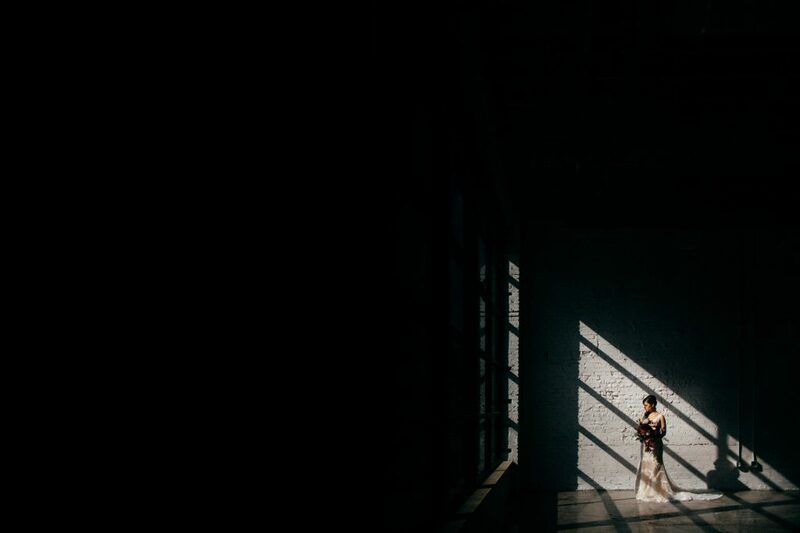 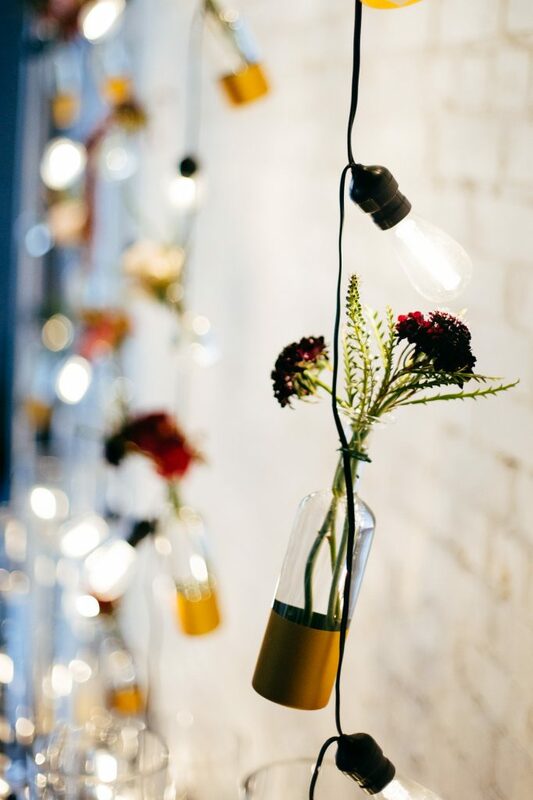 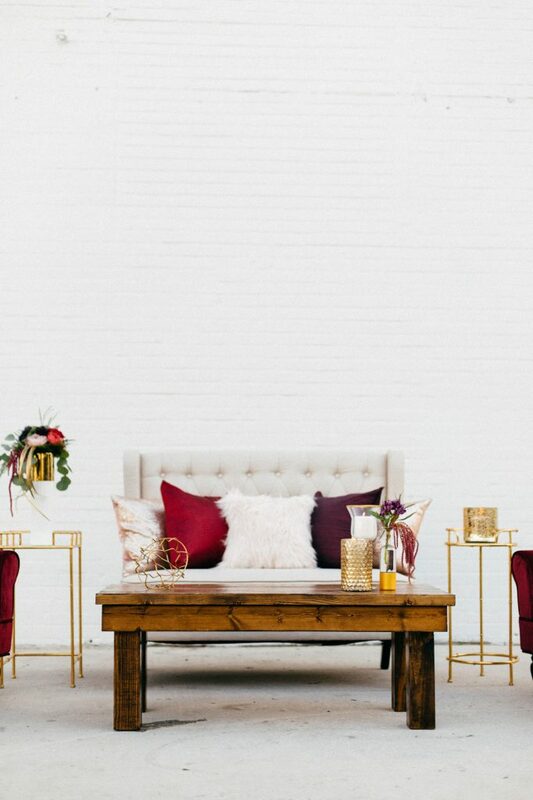 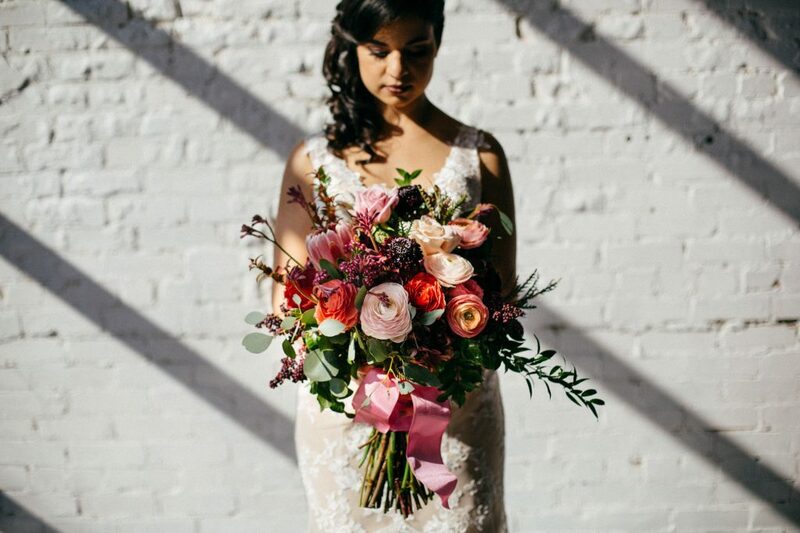 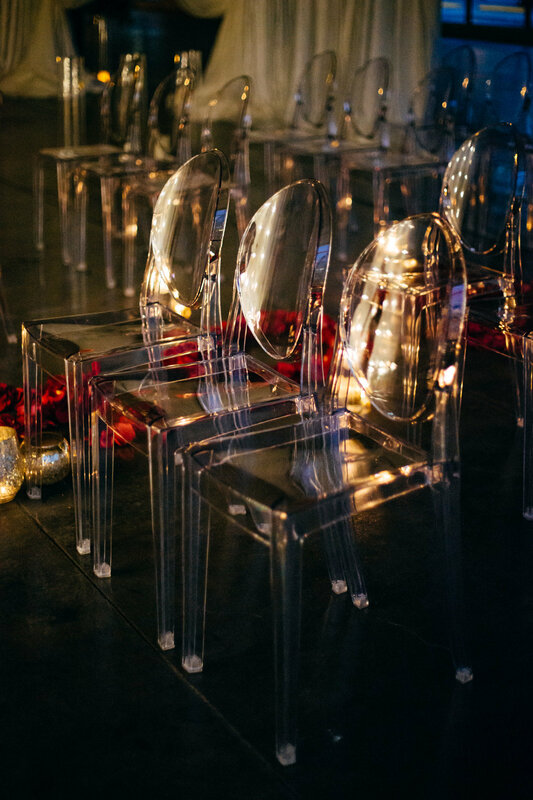 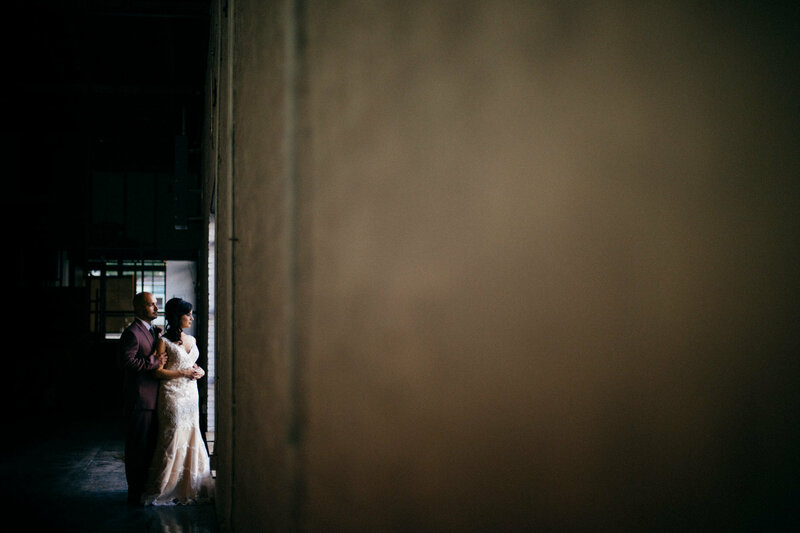 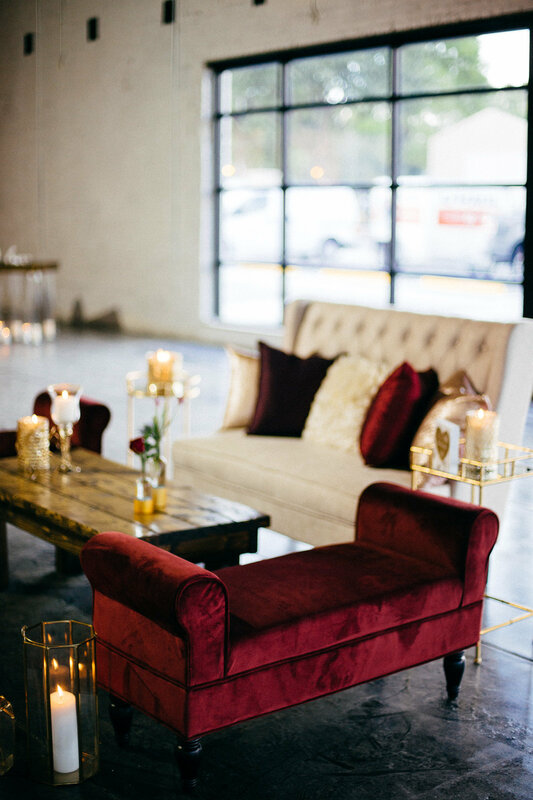 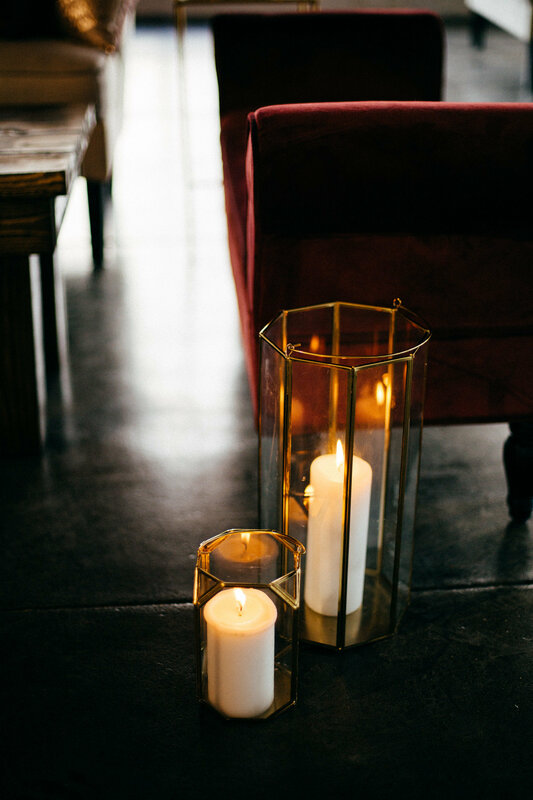 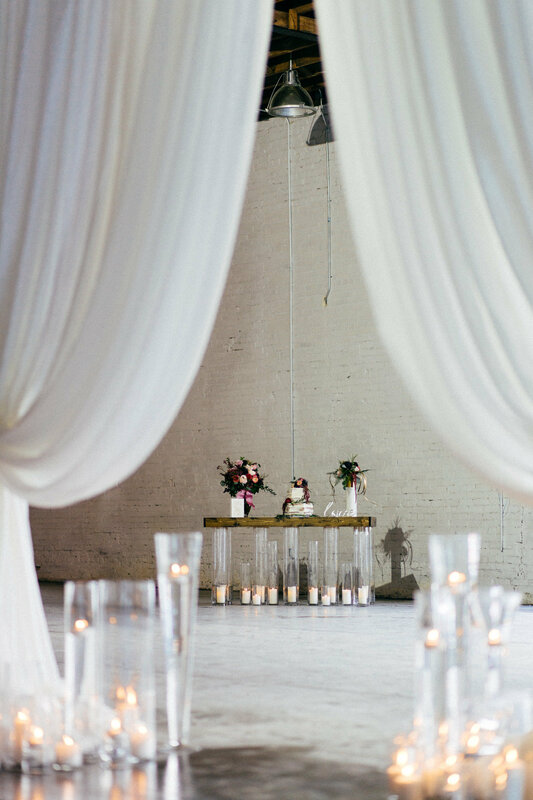 Chantilly Chic Celebrations creates the perfect Valentine’s Day wedding inspiration in our industrial-style space, featuring white-washed exposed brick and natural light from our large warehouse windows. 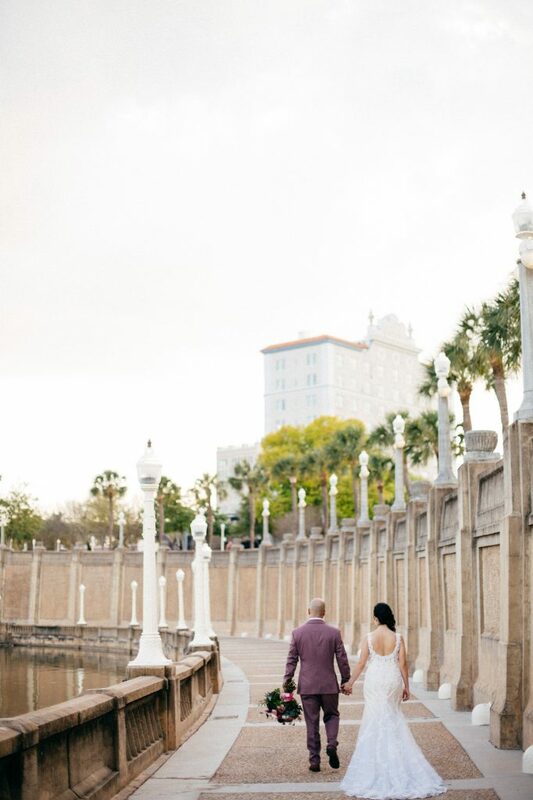 This time of year is the peak of our short Florida winters with early sunsets and cool evenings. 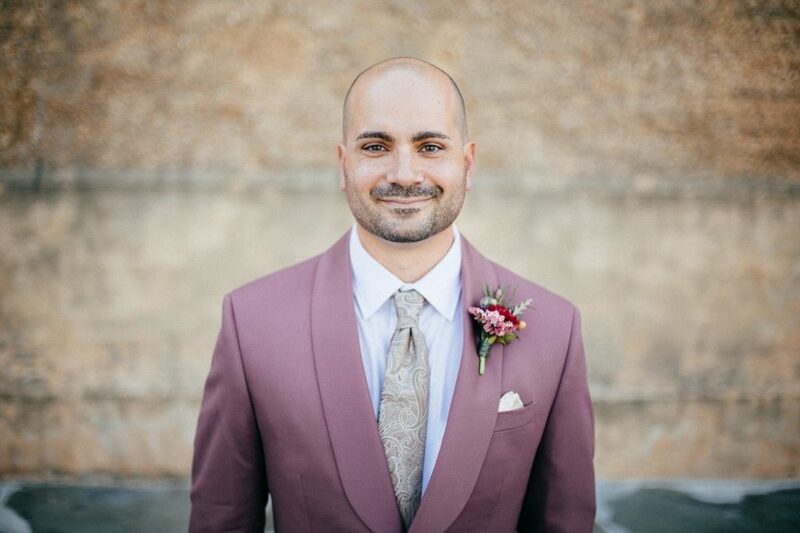 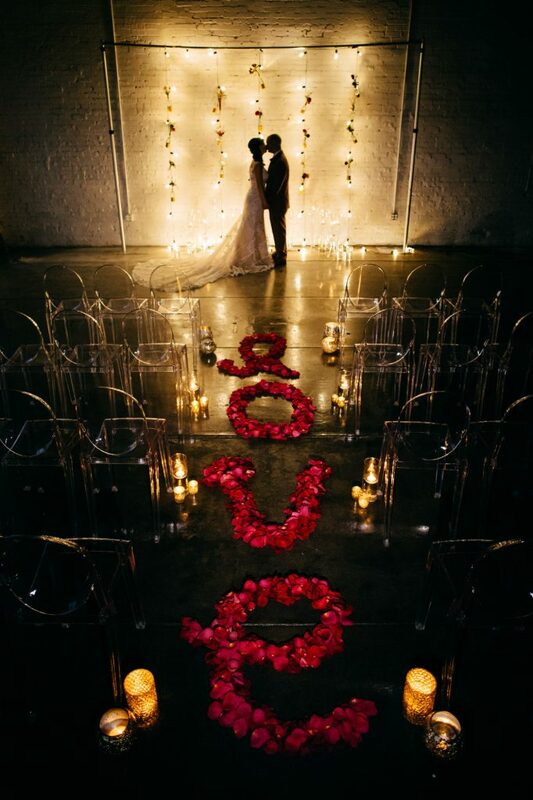 The bride walks down an aisle with rose petals spelling the word “LOVE”, and meets her handsome groom in front of a backdrop featuring string lights. 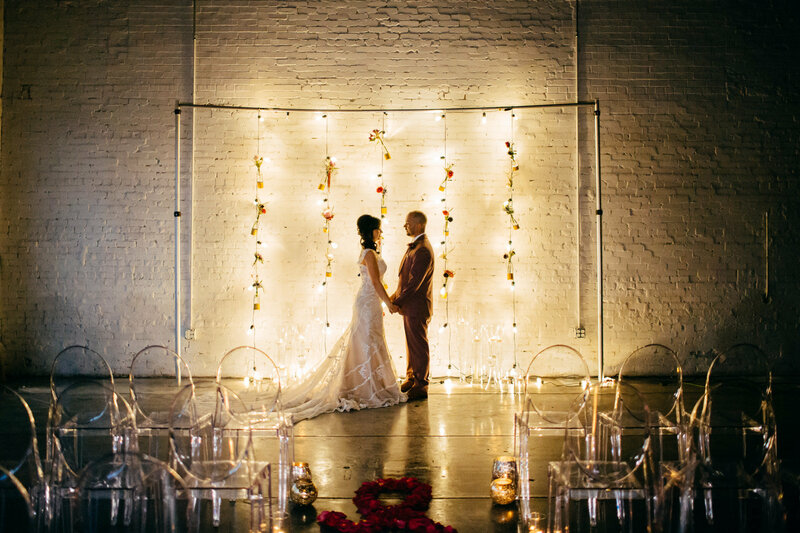 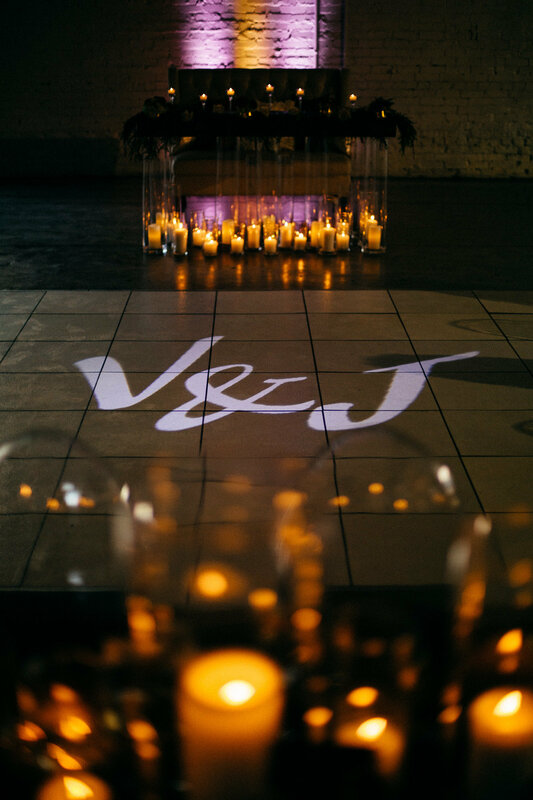 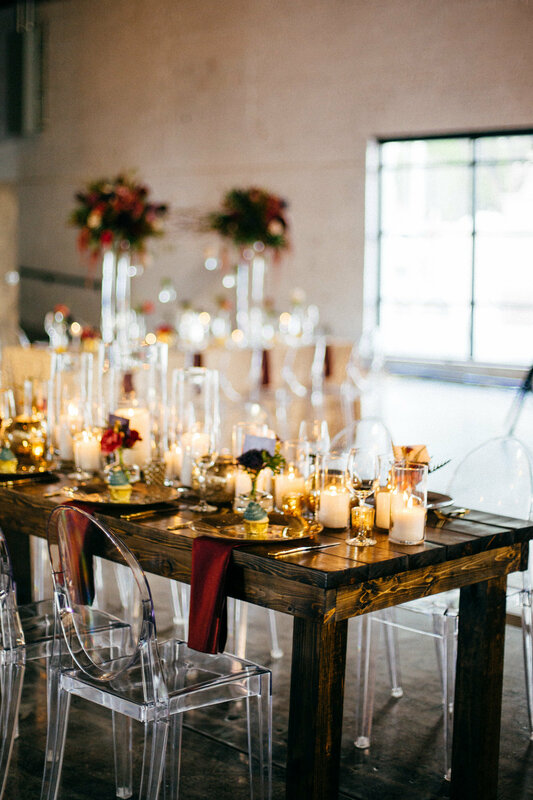 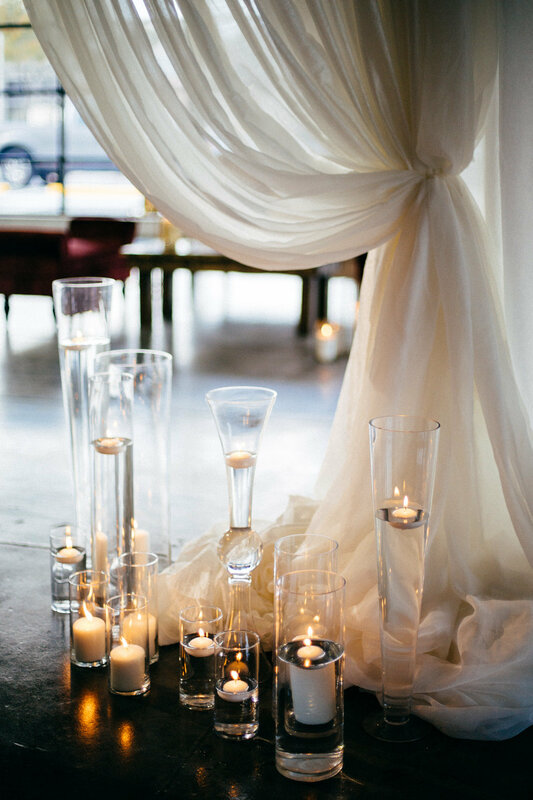 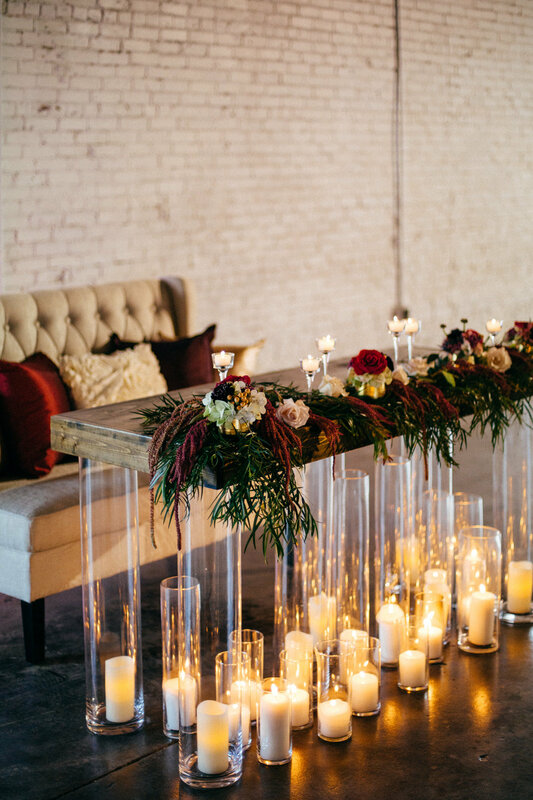 The beautiful couple exchanges vows surrounded by floral details and candlelights, create the most romantic and intimate-like setting for an evening ceremony. 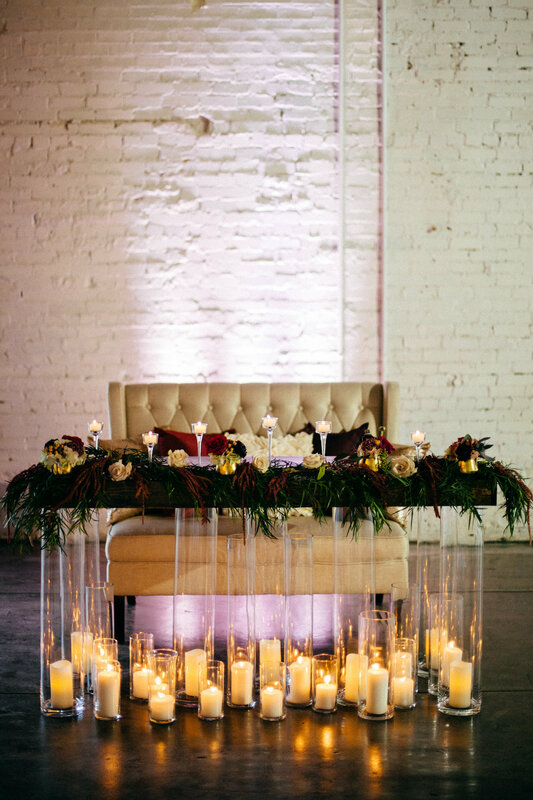 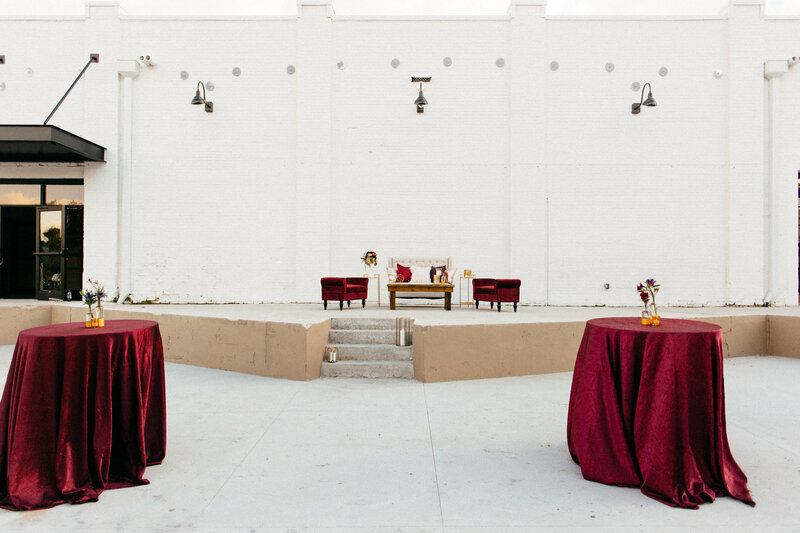 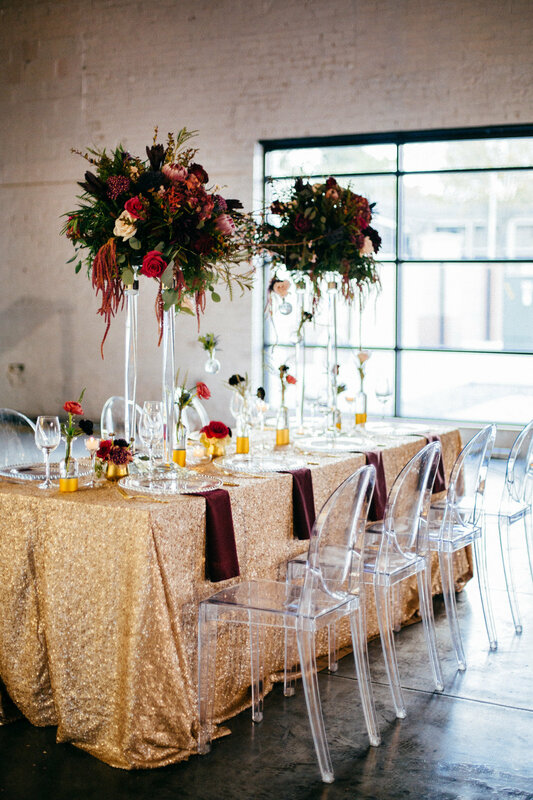 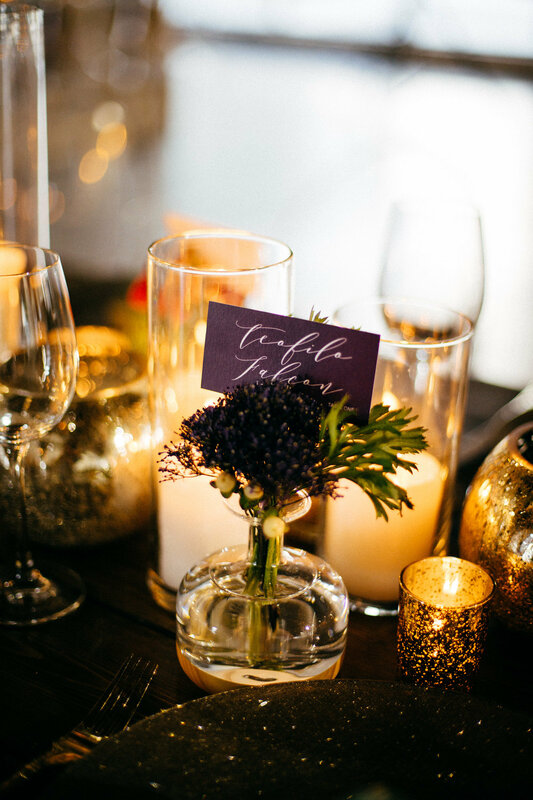 The reception featured a variety of table designs that complimented each other perfectly. 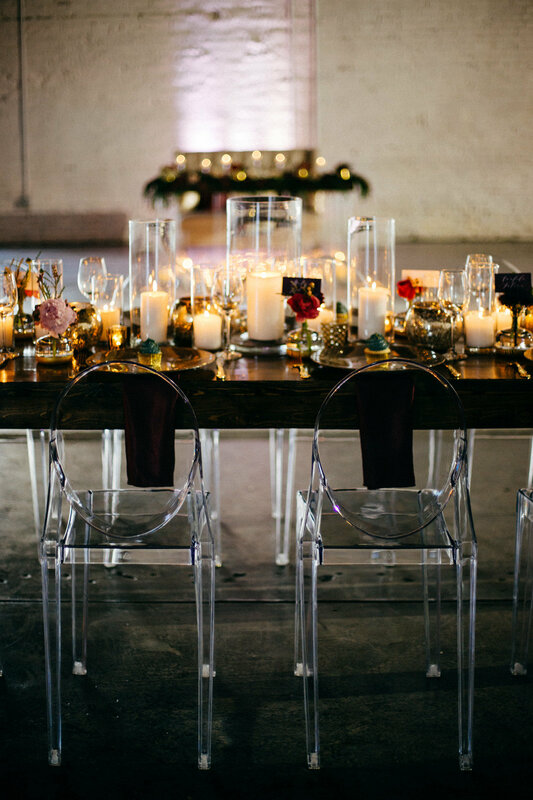 The design included furniture from Magnolia Social, chairs and linens from Kate Ryan Linens, and tabletop pieces from A Chair Affair. 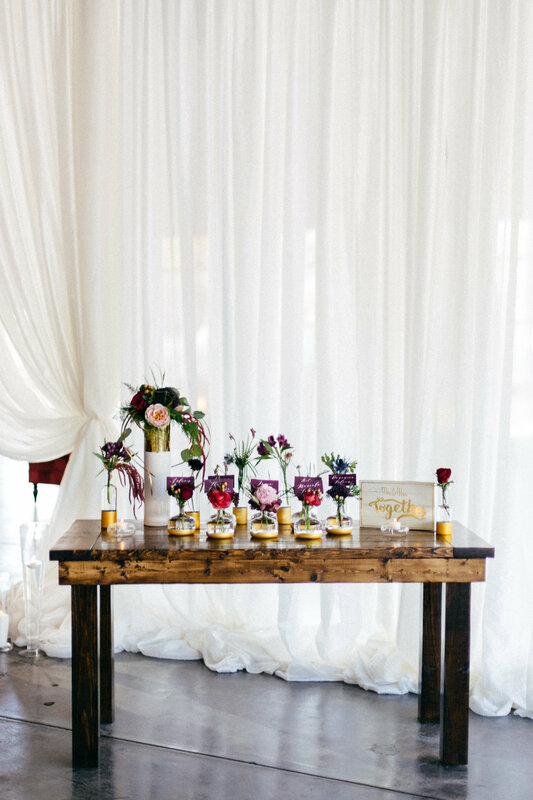 With details such as the heart shaped napkins on the bride and groom’s sweetheart table, we easily fell in love with the details. 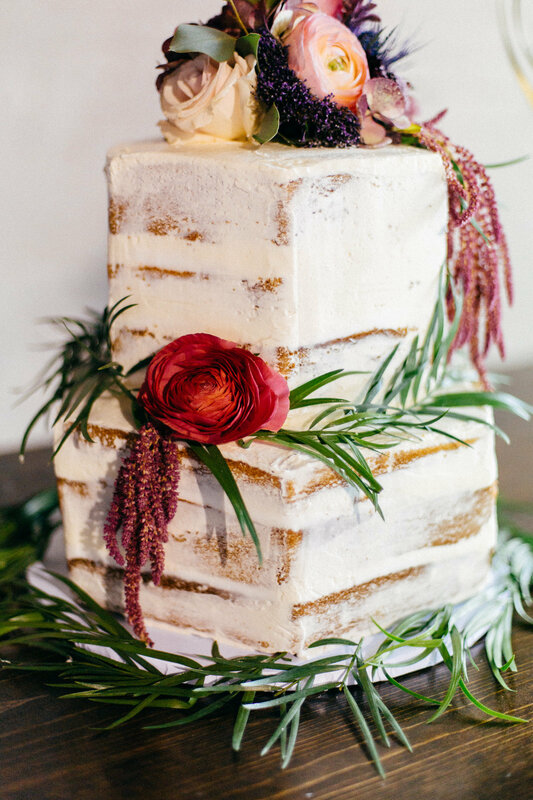 Magnolia Social designed a unique cake table experience with Wandering Whisk Bakeshop’s naked cake displayed on a wood tabletop with glass cylinder legs. 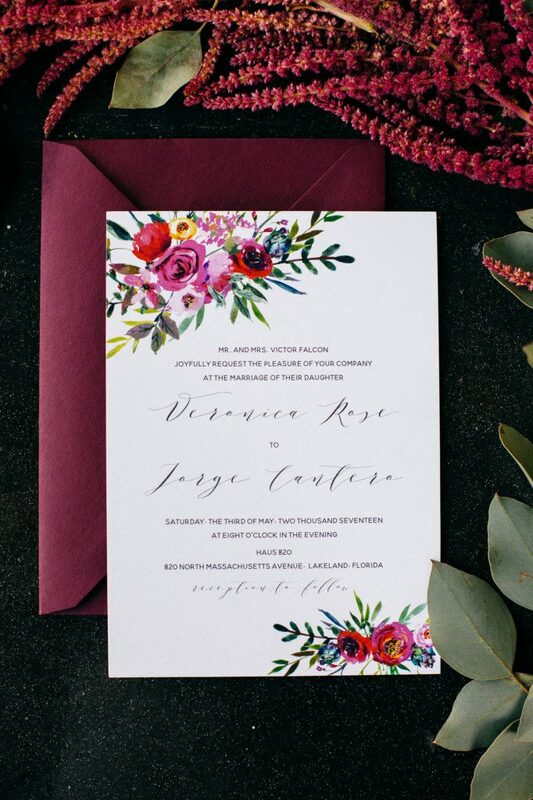 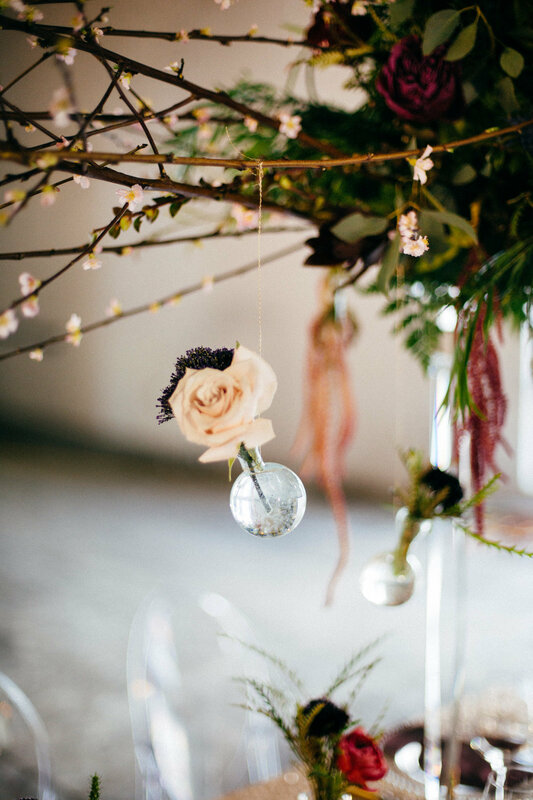 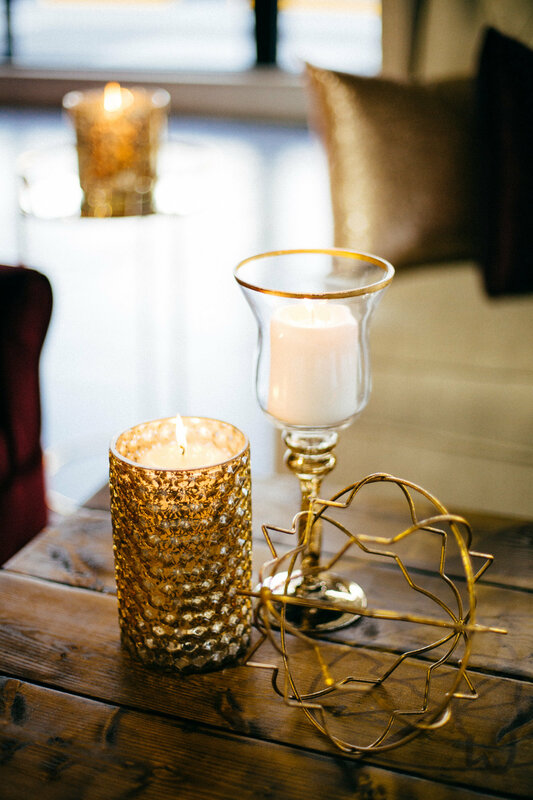 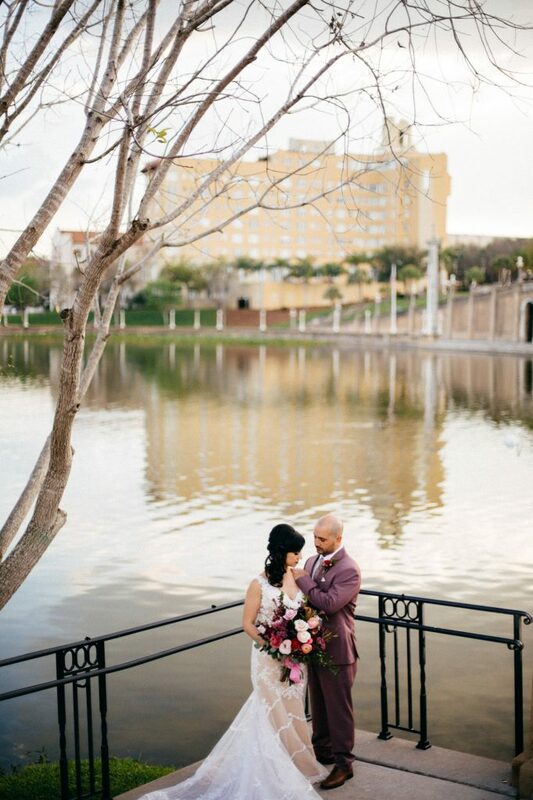 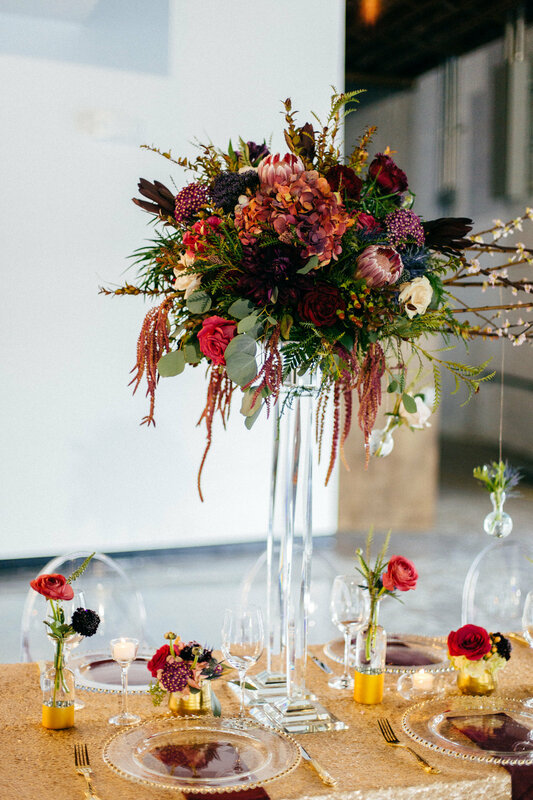 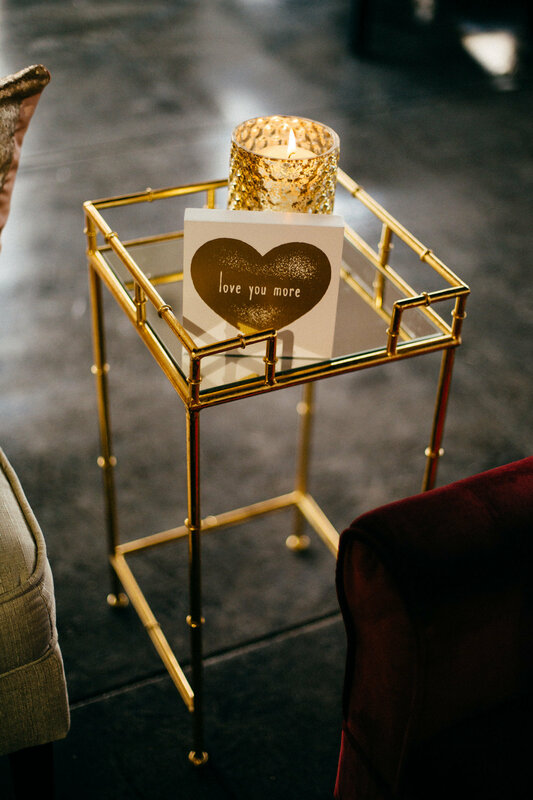 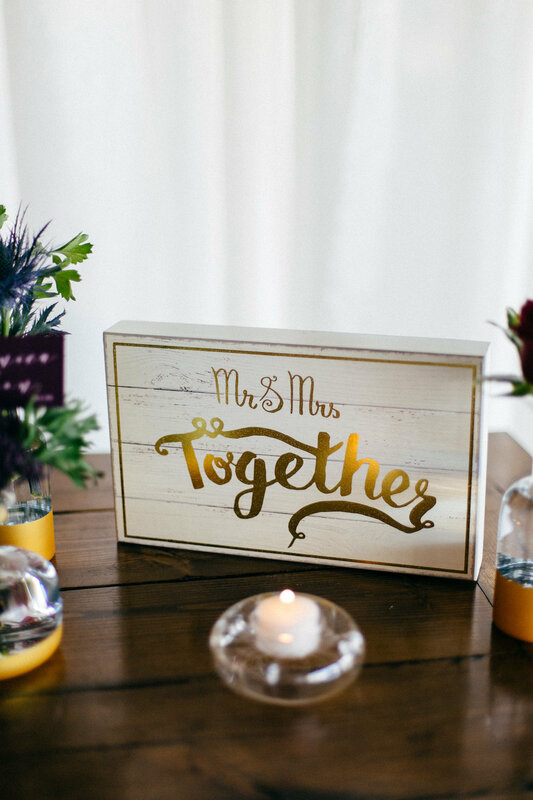 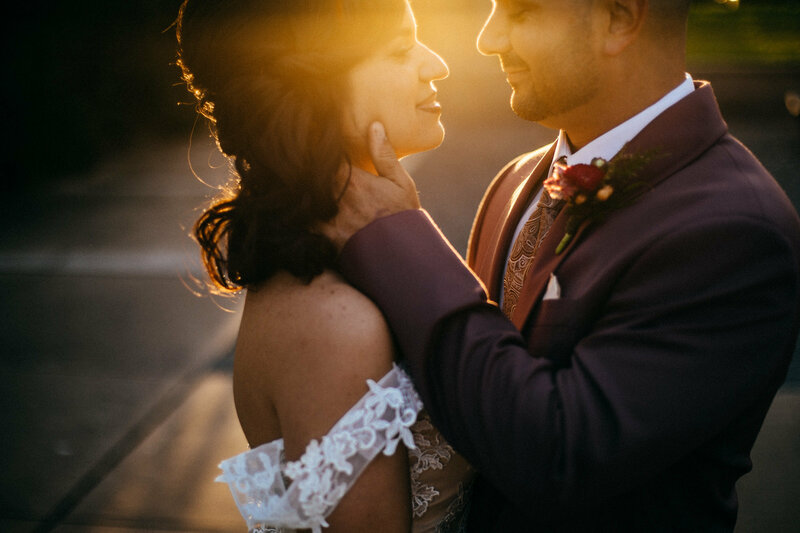 Tiffani Jones Photography captured the romance in this design perfectly! 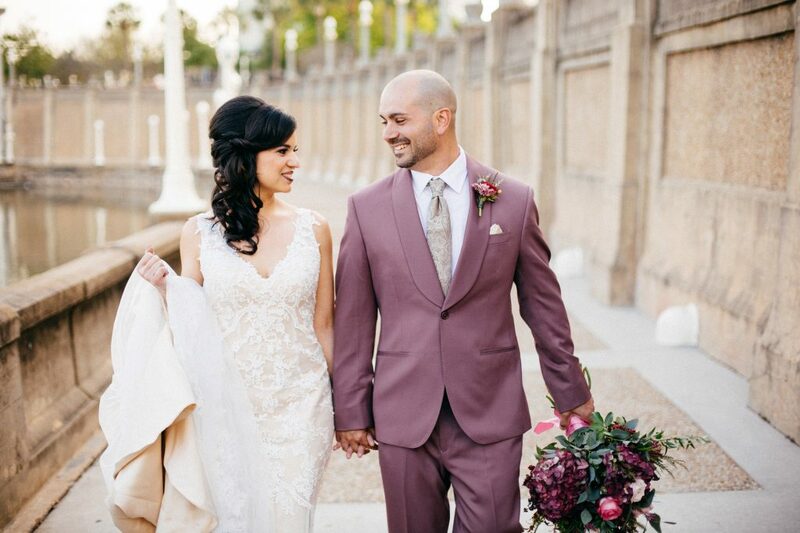 The bride wore a formfitting, trumpet silhouette gown from Southern Bride Boutique with soft, romantic lace detailing. 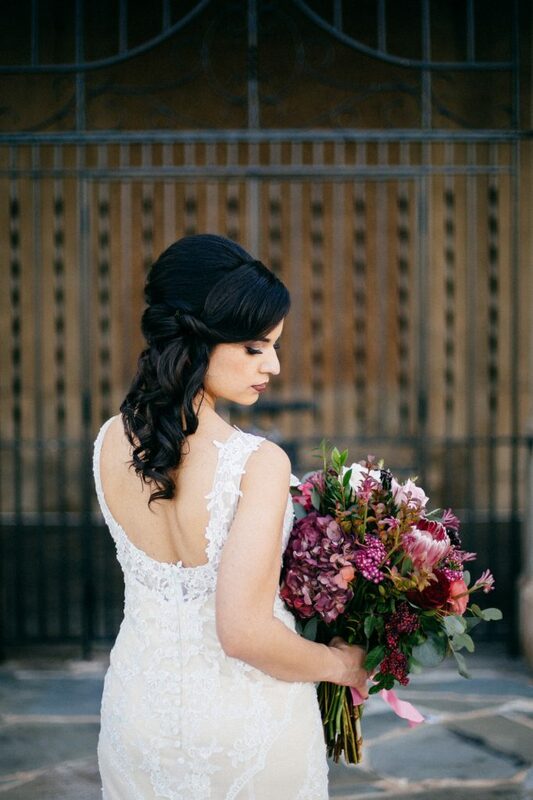 Her dramatic make up by Lasting Luxe Artistry and soft, side-swept loose curls. 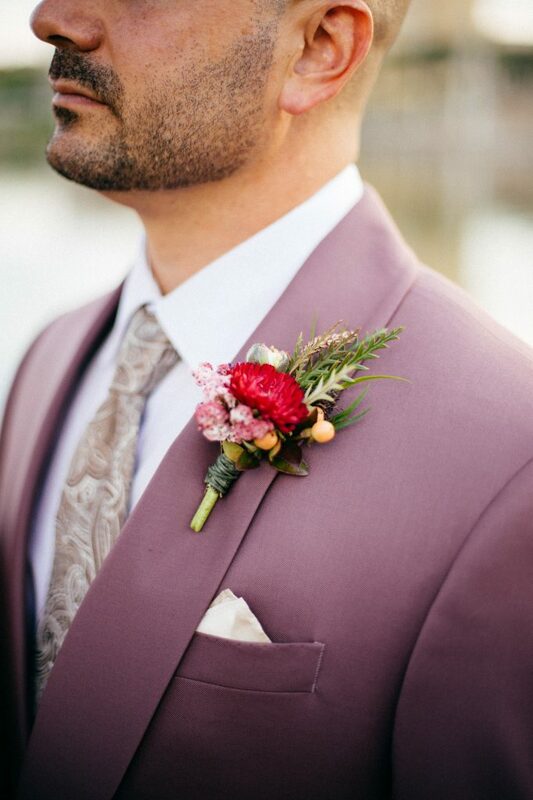 The florals, designed by DHS Design Guild , to coordinate with the groom’s burgundy suit from A Black Tux.